We bring together some of the best Talent in the Tri- State Area to give you jaw dropping interactive entertainment experiences. Dancers, acrobats, break dancers, trampolinists, personalities and hosts, you name it we got it! We customize our shows based on needs of our clients and bring with us high quality performances that can fit any stage or venue. 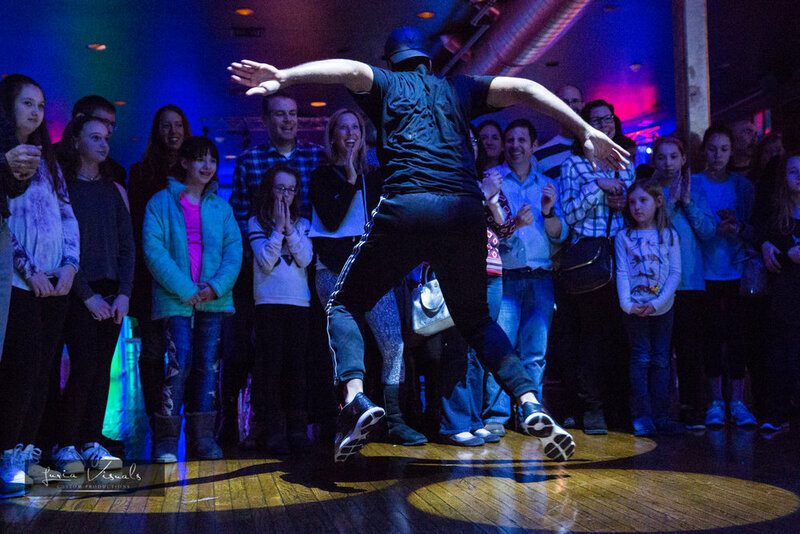 Enhance your next event with some of the best Break Dancers in the Tri Sate area! These entertainers will leave your audience captivated and awe struck bringing with them the up most professionalism as well as years of training and performance experience! One of the coolest most exciting performances that we have to offer! 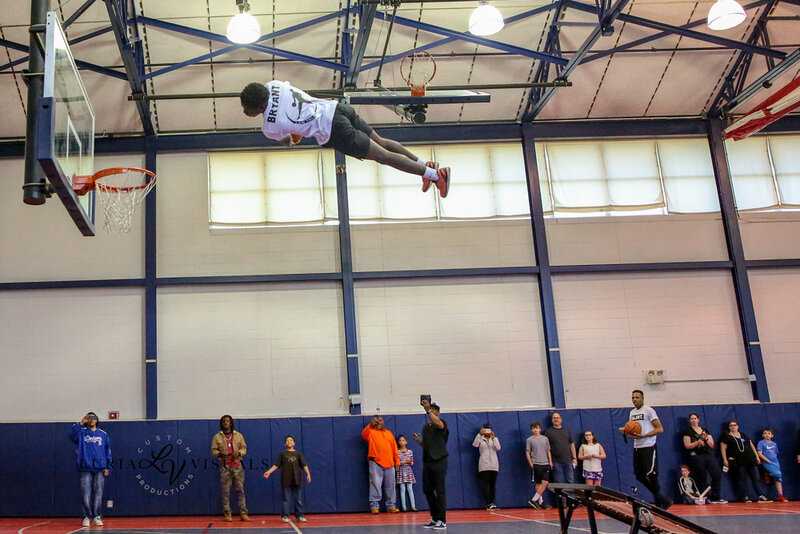 Our Freestyle Dunkers are some of the best in the business and have extensive experience dunking for NBA teams such as the Philadelphia 76ers, New York Knicks, Washington Wizards and more! IAT3C is the newest sports performance and training facility in located in Blackwood New Jersey! It was designed from the ground up for safety, fun and the purpose of teaching students and athletes the latest techniques in acrobatics/tumbling. The center comes equipped with a parent waiting area, full spring floor, Tumble Track and mats for our athletes to learn the highest level of training techniques in the safest environment possible.